Does the Problem of Evil Presuppose Moral Realism? The problem of evil, also referred to as the argument from evil, has a long and tumultuous history. From Hume and his now ubiquitous reference to “Epicurus’ old questions,”: “Is he willing to prevent evil, but not able? then [sic] he is impotent. Is he able, but not willing? then [sic] he is malevolent. Is he both able and willing? Whence then is evil?” (Peterson 44), to the more recent developments in the field of skeptical theism, the problem of evil persists. Philosopher Michael Peterson describes the problem as, “a serious and enduring challenge to religious faith”, striking “at the heart of traditional belief in God.” (Peterson 1), while the theologian Hans Küng christens it “the rock of atheism” (Peterson 1). Beyond its treatment in academia, the problem of evil (POE) also continues to be one of the more commonly cited reasons for losing one’s faith in religious worldviews. Perhaps unsurprisingly, the responses to the problem of evil are quite numbersome. Broadly speaking, they tend come in one of two distinct forms: either as a defense, or a theodicy. The modus operandi of ‘defense’ is simply to show that it’s at least possible, irrespective of probability or plausibility, that both God and evil can exist simultaneously. In contrast, the M.O. of ‘theodicy’ is to actually provide substantive, positive reasons for the existence of evil in the world (as opposed to merely demonstrating the possibility of God and evil both existing simultaneously) (Murray 170). However, there is at least one other possible avenue for the theist to take in response to the problem of evil that, for whatever reason, hasn’t yet received its due attention; namely, to effectively argue that far from disproving the existence of God, evil itself proves the existence of God. That is, the theist has the option of offering up a sort of meta-critique of the argument from evil, positing that the atheist is incapable of even running POE due to their inability to account for evil, or more specifically, moral facts, in the first place. And if the atheist can’t account for moral realism (and thus the presence of good and evil in the world), then they can’t very well run a so-called problem of evil against the existence of God, as, in doing so, they would need to presuppose the very thing they’re seeking to disprove (i.e. the existence of God). My goal in this paper is to first offer up a rough sketch of the current status of the problem of evil debate, and then attempt to drive home two important objections to this last, what I call, ‘metacritique’ of the argument from evil. In short, I will show that this response to POE, like so many others, ultimately fails in its endeavor, and that the problem of evil (at least in this strict context) remains as pressing as ever. Needless to say, none of this really settled the matter; the debate continued, and indeed, continues, unabated. Though many philosophers, including nontheists, grant that Plantinga did, in the very least, manage to demonstrate that it is in fact possible for there to exist both God and evil, others were not so easily persuaded. There exist instances of intense suffering which an omnipotent, omniscient being could have prevented without thereby losing some greater good or permitting some evil equally bad or worse. An omniscient, wholly-good being would prevent the occurrence of any intense suffering it could, unless it could not do so without thereby losing some greater good or permitting some evil equally bad or worse. Hence, there does not exist an omnipotent, omniscient, wholly-good being. Rowe famously illustrated his argument by asking his readers to imagine the plight of a helpless fawn caught in a forest fire initiated by a strike of lightning. We can imagine such a fawn finding itself stranded from its mother (already taken by the fire) and suddenly being surrounded by walls of searing flames. In its terror, the fawn manages to somehow avoid being engulfed completely by the fire, but in running away, receives fatal, third-degree burns all over her body. As a result of these wounds, she lies in agony for several impossibly long days until finally dying. Now, the question Rowe asks the reader to consider is whether or not it’s reasonable to believe that an omnipotent, omniscient being could not have prevented this fawn’s suffering without preventing some greater good or permitting some evil equally bad or worse in our world. The problem with Rowe’s argument, however persuasive it may seem to be at first glance, is that it has to rely upon an extremely controversial inference. The inference in question is known as the “noseeum” inference (as in, ‘no-see-them’), which has itself spawned an entire subfield within the philosophy of religion referred to as skeptical theism. In a nutshell, the skeptical theist is that theist who rejects the noseeum inference at the heart of Rowe’s evidential argument, due to the inherent epistemic limitations that we as human beings are inevitably plagued with. We simply have no right, so says the skeptical theist, to infer from our mere inability to see reasons for any given instance of evil that there are no reasons for any given instance of evil. Critics of skeptical theism then push back with accusations of ad hoc-ness, suggesting that this sort of radical, hardline skepticism must be applied elsewhere in order to be consistent, but if and when it is applied elsewhere, the theist simply creates new theological problems for herself. And the skeptical theist pushes back again, distinguishing between kinds and varying degrees of skepticism, and on and on it goes. Where exactly, we might ask, does this leave us? 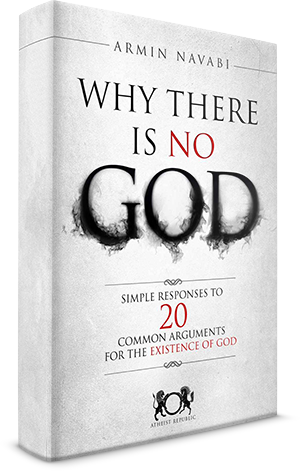 Well, in a way, it leaves us in a sort of stalemate; as Michael J. Murray and Michael Rea write in their book concerning the arguments against the existence of God in general, “An Introduction to the Philosophy of Religion”, “These arguments rely on assumptions that are open to some serious challenges. How serious those challenges are is a matter for each of us to decide [my emphasis]” (Murray 188-189). What’s more, it is arguably the case, at least to a certain extent, that the degree to which one finds the argument from evil persuasive very much depends on and/or is influenced by the priors, presuppositions, views and beliefs that one has going in. More specifically, when running the evidential or probabilistic versions of the argument from evil, say, the “probability calculus” that any given person would utilize in evaluating the argument is necessarily going to be different in significant ways; an atheist will not ascribe as high a probability to the existence of possible reasons for seemingly gratuitous suffering in the world as would a theist (Peterson 8). Given these developments in the problem of evil debate, and indeed for other reasons (say for the sake of originality), perhaps our time would be better served for now to instead consider a fundamentally different approach to responding to the problem of evil that has, as of yet, remained mostly under the radar… One that attempts to stop the argument from evil in its tracks, before it ever leaves the runway. Enter the so called ‘metacritique’ of the problem of evil, the argument that if atheism cannot account for moral realism without God, then the atheist can’t even run the problem of evil to begin with, because to do so would be to presuppose moral facts or truths, which counterproductively presupposes the existence of God. If this is true, then the problem of evil would not only fail to disprove the existence of God, but it actually winds up proving the existence of God! How might the proponent of the argument from evil respond to this charge? First, by way of what I want to call the semantic objection, which aims to clarify the meaning of the terms being used in the argument from evil in such a way that ultimately shows that the language needn’t be moral (in the relevant sense) for the argument to be valid/cogent. Additionally, what you might call the ‘internal critique’ objection, which points out that the problem of evil is really only a problem, strictly speaking, for the theist; that is, the argument from evil should be understood to be an internal argument, such that it seeks only to point out apparent internal inconsistencies within the theistic worldview itself. It should be noted, however, before unloading these two objections to the metacritique of POE, that this response undeniably begins with a very controversial premise; namely, that atheism entails moral nonrealism. To put the radical nature of this claim in its proper context, consider that a survey conducted back in 2009 found that while 72.8% of the philosophers who participated affirmed atheism, 56.4% of the participating philosophers affirmed moral realism (Bourget and Chalmers). This means that in order to even launch this metacritique of the argument from evil, the theist must first demonstrate beyond the shadow of doubt that no possible, atheist-friendly account of moral realism exists, which, if the thoughts of contemporary philosophers are at all relevant, would appear to be a tall order to say in the least. That said, let us for now simply leave this complication to the side and just grant this controversial contention (that atheism entails moral nonrealism) to the purveyor of the metacritique, so as to see if their claim holds any water. “The essence of evil is abuse of a sentient being, a being that can feel pain. It is pain that matters. Evil is grasped by the mind immediately and immediately grasped by the emotions; it is sensed as hurt deliberately inflicted” (Kelly 3). If God exists, evil does not exist. Hence, God does not exist. If God exists, then gratuitous suffering does not exist. But gratuitous suffering does exist. Not necessarily, no. As far as I can tell, one doesn’t need to know that gratuitous suffering is ‘bad,’ per se, to see why the God in question would seek to avoid it. All we need is a sufficient grasp of the relevant concepts and their consequents. To help unload this, let’s assume that by God we mean, ‘a loving God who cares about human beings’ (this isn’t completely arbitrary, as it is arguably the case that an omnibenevolent being is necessarily a perfectly loving being). Though it’s certainly true that the concept of love can, and usually does, have moral implications, it doesn’t necessarily have them; that is, there is at least a possible state of affairs where morality is illusory and yet, love exists. And if it follows from the very idea of a ‘loving’, let alone a perfectly loving, god or being—irrespective of the existence or nonexistence of moral facts—that such a god or being would seek to avoid gratuitous suffering for his creatures, whenever possible, (and I think this does follow), then the argument from gratuitous suffering already appears to avoid the metacritique. Why would God seek to avoid gratuitous suffering? His inclination to do so follows merely from the fact of his loving nature. It’s just a brute fact of our reality that if you love someone, you would want to protect them from gratuitous suffering whenever you can, and more importantly, your reasoning for doing so may be nothing apart from the subjective fact that you love them. It’s neither here nor there, strictly speaking, if your doing so, or if your love in the first place, is moral or not. The goal here, successful or not, is just to show that there is in fact a logical inconsistency between the existence of God, on the one hand, and the existence of evil, on the other, such that to hold both of them to be true simultaneously would be positively irrational. This task was admittedly narrow then as it sought only to show that there was a problem with certain truths- claims within theism (i.e. if you believe in God and you believe in evil, then you’ve got a problem on your hands). But if that’s a fair analysis of POE, then it is perfectly irrelevant what the atheist himself or herself happens to believe regarding the existence of evil; they might be a moral realist, but then they might as well be a moral nihilist (like Mackie himself), or a moral subjectivist, or whatever…It doesn’t matter in the slightest as long as they’re merely pointing to alleged problems within the theistic worldview itself. To help illustrate this, consider for a moment how one might go about demonstrating any other given contradiction between two claims or beliefs of another person. Suppose, for example, that a friend of yours believed that the Bible was 100% literally true and that there were no contradictions in it. You might ask them for their Bible and open it up to Genesis, in order to show them how, upon reading it carefully, you can actually find two (at times) contradictory accounts of creation. Whether or not they would in fact find you persuasive is beside the point; the key point for us is just that in doing this, you yourself never have to affirm any of the biblical claims you’re using to demonstrate what you’re trying to convey. You need only show that there’s a problem for your friend who holds them all to be true simultaneously. Yet if this is appropriate and reasonable here, then it should be just as appropriate and reasonable there (i.e. in the context of the problem of evil). Or, to put it more bluntly, I don’t have to accept the claims of someone in order to show that they’re mutually exclusive. In conclusion, the problem of evil and its corollaries are of significant importance in the fields of philosophical and theological enquiry. The topic has generated hundreds of years of philosophical argumentation and research. Among the many possible theistic responses to the problem is to simply argue that to even run the argument from evil is to presuppose moral realism, and furthermore, to presuppose moral realism is to presuppose God. I’ve called this the ‘metacritique’ of the argument from evil, and in response to it, I put forth two objections: (1) the semantic objection, which suggests that, if necessary, we can reframe the ‘problem of evil’ as the ‘problem of suffering’, thereby avoiding the use of moral language/concepts, and (2) the internal critique objection, which points out that the problem of evil seeks only to highlight logical or evidential problems that are internal to theism i.e. if you hold both x (that God exists) and y (that evil exists) to be true at the same time, then you’re being inconsistent. Together, these responses to the metacritique effectively demonstrate it to be yet another bankrupt rejoinder to the devastating problem of evil that besets us all. Bourget, David and David J. Chalmers. “What do philosophers believe?” 2014. Philosophical Studies 170 (3):465-500. Goetz, Stuart. "The Argument From Evil." Ed. Wiliam Lane Craig and J. P. Moreland. The Blackwell Companion to Natural Theology. Chichester, U.K.: Wiley-Blackwell, 2009. N. pag. Print. Hume, David. "Evil and the God of Religion." 2003. The Problem of Evil: Selected Readings. Notre Dame, IN: U of Notre Dame, 1992. 44. Print. Kelly, Joseph F. The Problem of Evil in the Western Tradition: From the Book of Job to Modern Genetics. Collegeville, MN: Liturgical, 2002. Print. Mackie, J. L. "Iv.—Evil And Omnipotence." Mind LXIV.254 (1955): 200-12. JSTOR. Web. 07 Mar. 2016. Murray, Michael J., and Michael C. Rea. An Introduction to the Philosophy of Religion. Cambridge: Cambridge UP, 2008. Print. Peterson, Michael L. The Problem of Evil: Selected Readings. Notre Dame, IN: U of Notre Dame, 1992. Print. Plantinga, Alvin. "The Free Will Defense." 2003. The Problem of Evil: Selected Readings. Notre Dame, IN: U of Notre Dame, 1992. 132. Print. Rowe, William L. "The Problem of Evil and Some Varieties of Atheism." American Philosophical Quarterly 16.4 (1979): 335-41. JSTOR. Web. 07 Mar. 2016. I grew up in a typical non-denominational Christian home in Illinois and now live in Philadelphia with my three-legged puggle, Darwin. 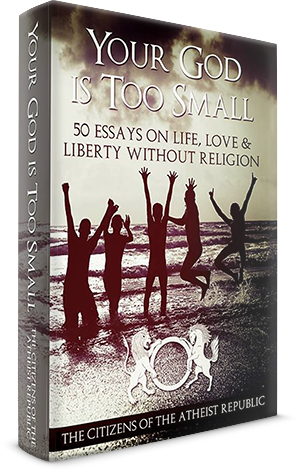 Around my mid-teens, for innumerable reasons, I began to question many of the things that I had taken for granted, including “God.” I soon became interested in philosophy and religion and went on to graduate from Bradley University with a B.S.in Philosophy and Religious Studies. Currently I’m a co-host for a new podcast (“Hinge”) that’s in development about an atheist (me!) and a pastor exploring the life and teachings of the historical figure, Jesus of Nazareth. I also regularly participate in debates about, and give lectures on, issues pertaining to moral philosophy and the philosophy of religion.